Above, the Magic Ticketing Bus team in Nairobi, Kenya. Did They Create the Uber for Minibuses? 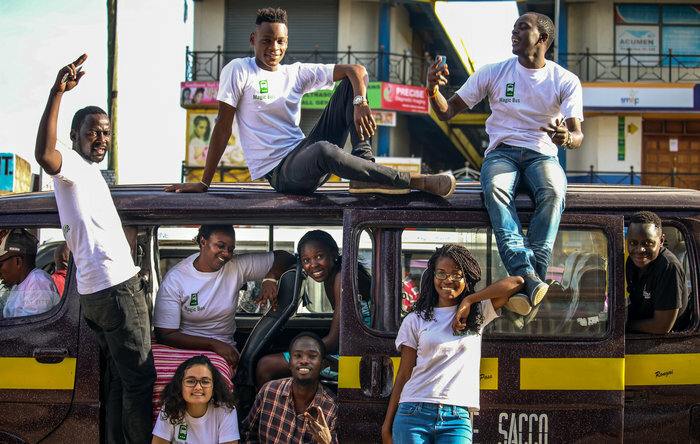 One current and three 2015 college graduates, with STEM and STEM-related majors, have created an app to make urban transportation in developing countries safe, affordable, and predictable. The foursome’s company, Magic Bus Ticketing (MBT) recently won the 2016 Hult Prize of $1 million in seed capital, besting 25,000 applicants in the world’s largest student competition for social good. In 2015, Wyclife Omondi, Sonia Kabra, Leslie Ossete, and Iman Cooper were undergraduates at Earlham College, a small liberal arts school, in Richmond, IN. After Omondi heard, and told his friends, about the 2016 President’s Challenge on Crowded Urban Spaces, they brainstormed. The competition asks, “Can we build sustainable, scalable and fast-growing social enterprises that double income of 10 million people residing in crowded urban spaces, by better connecting people, goods, service and capital? The Problem: Omondi, from Nairobi, knew that fellow Kenyans suffer hard daily commutes as the matatus, privately owned minibuses, providing transport are unscheduled, unsafe, and expensive. The Solution: MBT created a text-based ticketing platform. Users pre-book tickets based upon bus type, fare, and estimated time of arrival, at an affordable price and pay using mobile money. Pre-booking aggregates the demand for the buses, allowing for strategic daily operations. Rather than waiting to get full, buses can go directly to where commuters are and make more trips in a day. More commuters = more income! MBT Supporters include the Digital Matatus Project. Its researchers at the University of Nairobi School of Computing and Informatics, the Center for Sustainable Urban Development at Columbia University, and the Civic Data Design Lab at MIT mapped Nairobi using GPS and smartphones. 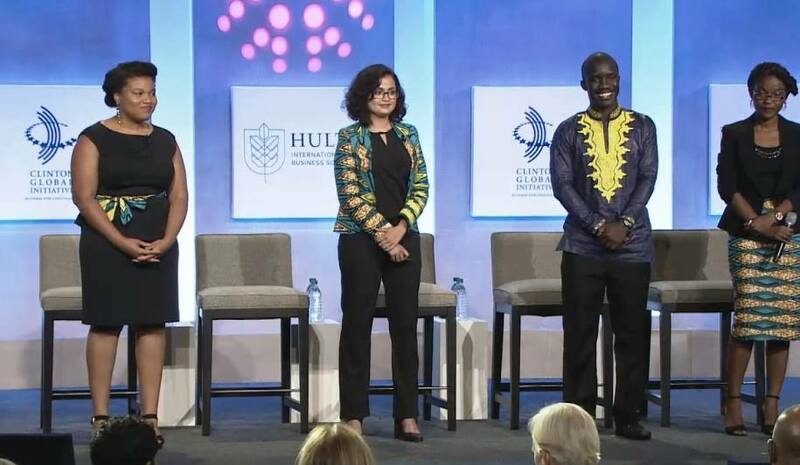 Magic Bus Ticketing and the other finalists, pitched their idea to ex-President Bill Clinton and attendees at the Clinton Global Initiative (CGI) annual meeting annual meeting. Clinton and the attendees then selected and awarded MBT as the winner. Ossete is the Magic Bus Ticketing CEO and a co-founder. She received her BA in Economics and Business and Nonprofit Management in 2015. She is based in Nairobi and working on Magic Bus. 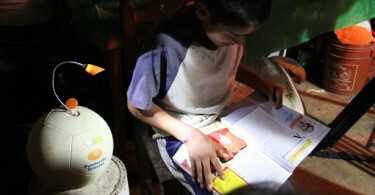 Ossete also works as a Clinton Global Initiative Commitment Maker leading a pilot project, Mateya. Its goal is to bring accessible and affordable educational materials into the urban slums of Brazzaville, the capital of the Republic of Congo. 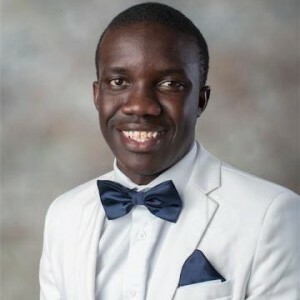 Omondi, a co-founder of Magic Bus Ticketing is the Chief Financial Officer for the startup and a senior majoring in Economics at Earlham College. He will graduate in 2017.
Cooper is a co-founder of Magic Bus Ticketing and works on Strategic Partnership & Marketing based in Boston and Nairobi, Kenya. She received her BA in Peace & Global Studies and Biology from Earlham College in 2015. 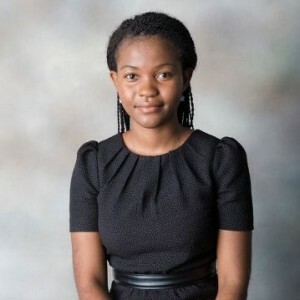 In high school, the Indiana native was selected as one of 250 seniors out of 71,000 applicants, to be a Coca-Cola Scholar based upon her leadership, academic excellence, and community service. 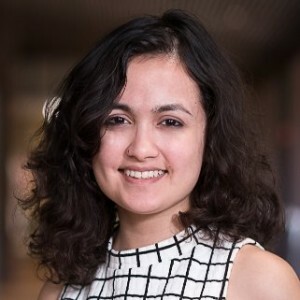 She interned with World Kitchen, LLC in Malaysia, and with Harvest House Nicaragua, and was the Co-Secretary General of the Earlham College Model United Nations. Kabra. raised in India, is a co-founder of Magic Bus Ticketing. 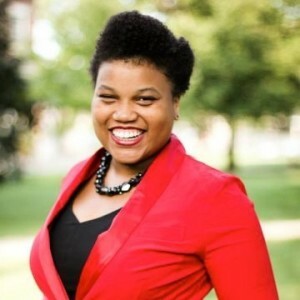 In 2012, she was graduated from Earlham College with a BA in Biochemistry. She interned as a Research Assistant at the Herman B. Wells Center for Pediatric Research, Indiana University.